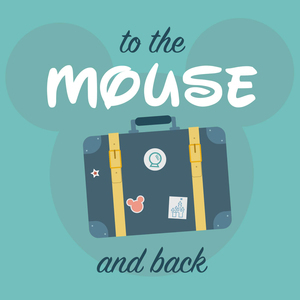 26 episodes of To the Mouse and Back since the first episode, which aired on August 1st, 2018. Hear all about Avery's princess-heavy trip to Walt Disney World, staying at Art of Animation! Hear all about Ashley's 3 generation family trip to Walt Disney World, staying at the Dolphin! Hear all about Laina's family trip to Walt Disney World, staying at Port Orleans French Quarter! Hear all about Lauren's magical Disney wedding at the Disney Wedding Pavilion at the Grand Floridian! Hear all about Ashley's family trip to Walt Disney World, staying at All Star Music! Hear all about Chelsie's 10th anniversary trip to Walt Disney World! Danny tells us what it's like to live in Orlando, a few minutes away from the parks! Hear all about Elizabeth's family trip to Walt Disney World, staying at the Cabins at Fort Wilderness! Hear all about Sarah's family trip to Walt Disney World, staying at All Star and Pop Century! I'm starting a new Disney trip report podcast!